Alleviates arch pain and discomfort. Medical Application: Alleviates conditions of plantar fasciitis (inflammation and tenderness of the plantar fascia). 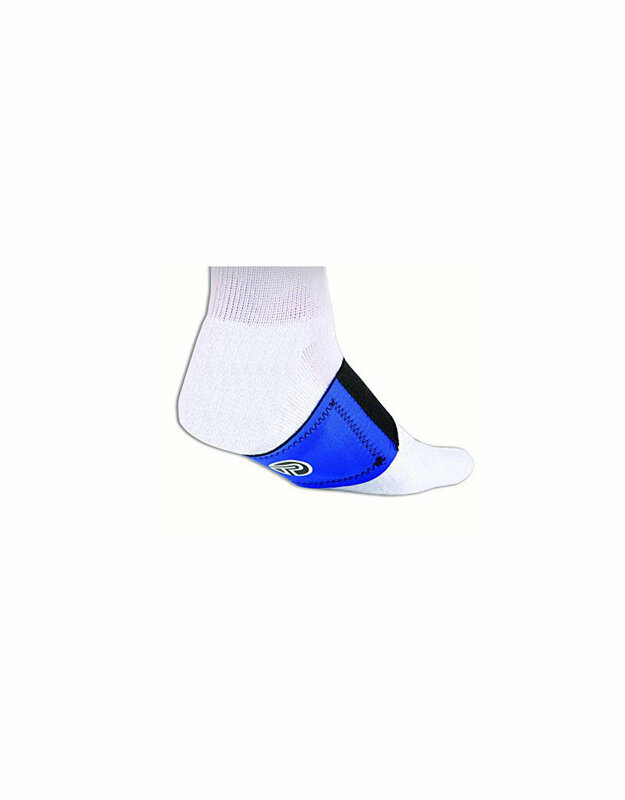 How it Works: Pro-Tec Athletics' Arch Support provides a slight lift to the arch helping to support the plantar fascia (a tough, fibrous band of tissue that runs along the sole of the foot with attachments to the heel bone and to the base of the toes). Targeted support reduces stress to the arch region and alleviates inflammation and tearing of the plantar fascia. Design Theory behind The Lift: The Arch Support achieves results similar to taping techniques by offering upward compression to the arch. This is achievable because the brace is made from stretchable material. Therefore, support is present not only when the foot is on the ground, but when the foot is elevated between steps. Soft material offers a comfortable pad for the arch when the foot does touch the ground.